We recently made a trip to Eastern Iowa, as a family, and brought along these fun colorful magnets for car entertainment. When not in transit, they reside on the refrigerator where they provide hours of fun during meal prep time. The image above is a house, according to Greta. 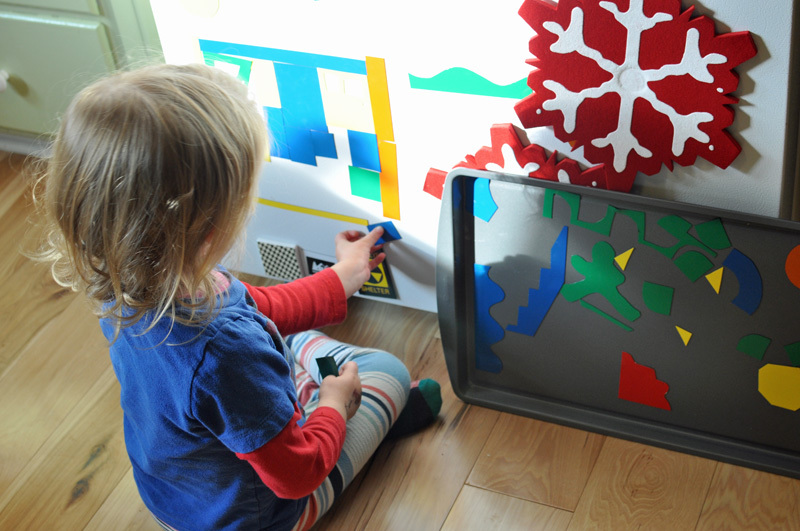 She it recently created it from the various geometric shapes and door shapes we cut out for her to use. Read on for the simple steps to make these. 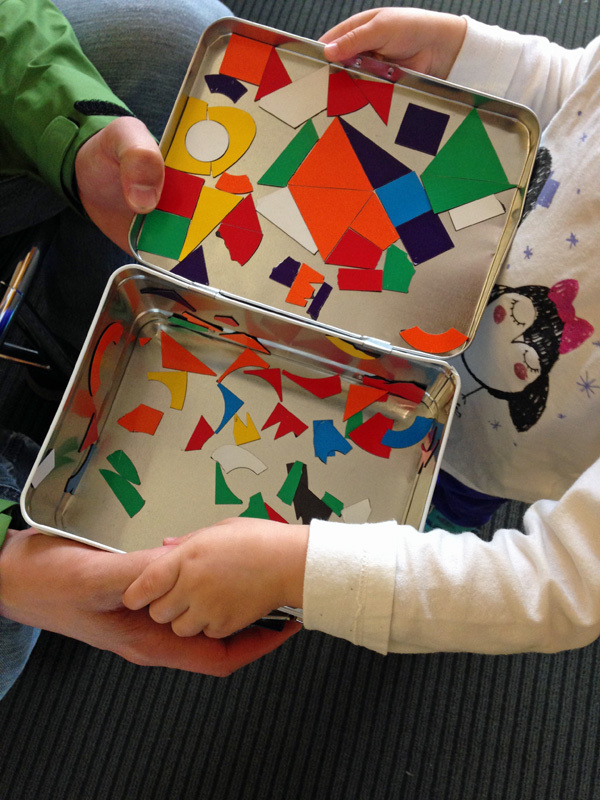 The inspiration came from the Des Moines Art Center and their kids’ activity area. 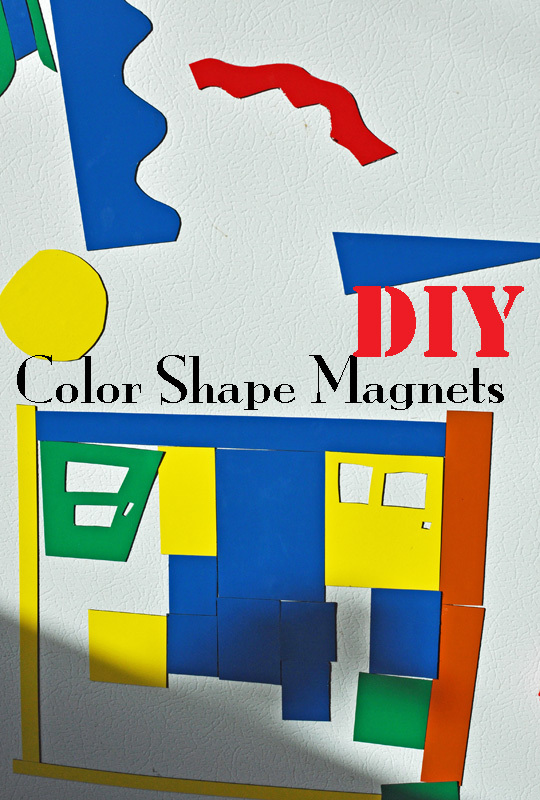 They provide lunch boxes filled with colorful vinyl magnets for quiet, creative entertainment for kids while in the galleries. Greta was so enthralled with them, we knew we had to create our own. We ordered the vinyl magnets from Amazon. They come in a 5 pack of 8.5 x 11″ sheets and then we cut them into various shapes using my paper cutter, scissors, and a hobby knife. 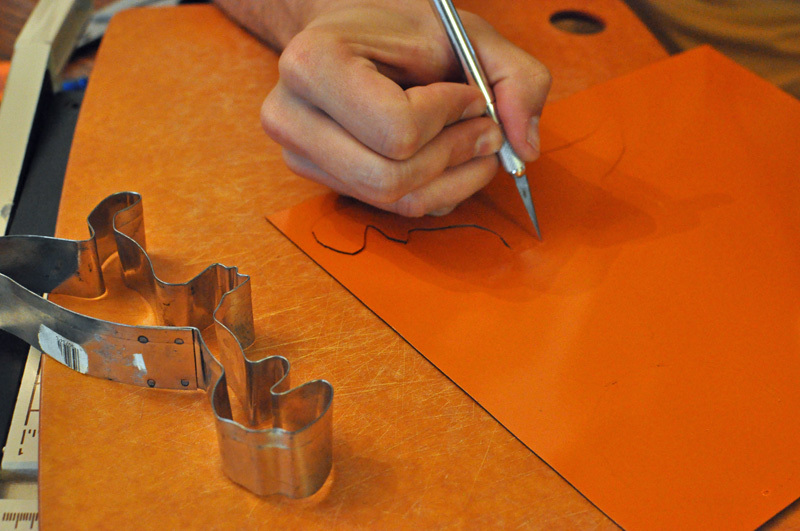 Eric got creative and pulled out a few cookie cutters to use as stencils. He traced around them and then used a hobby knife to cut them out. Her favorites are the dinosaur and ninja shapes. 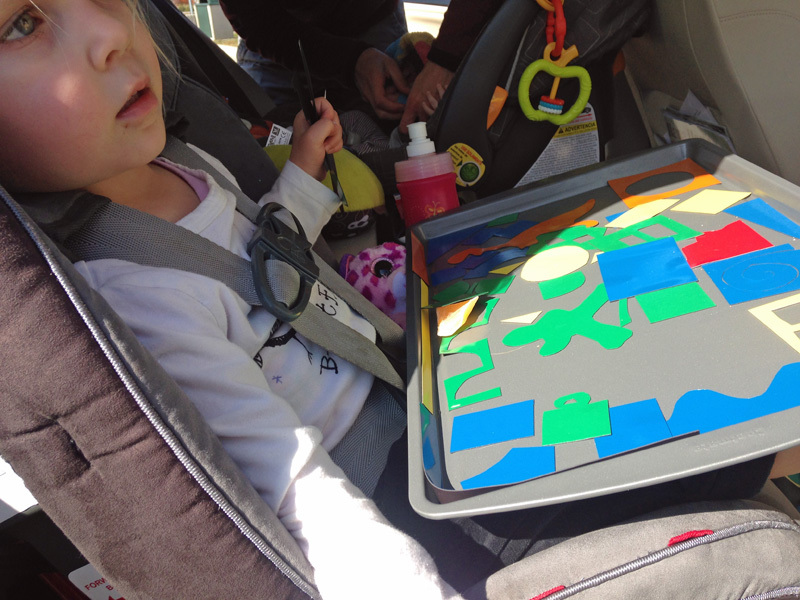 Rather than the lunch box as a magnetic surface, we opted to use a cookie sheet for travel, that way she has room to create larger scenes and keep it on her lap. 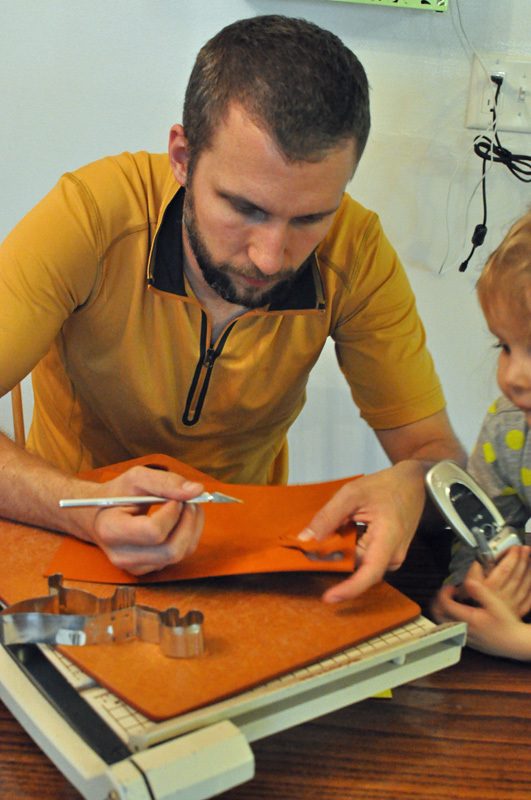 The cookie sheet can also double as a lap desk for books and drawing. Next up: creating sets of these for my classroom to use as free time activities.